juice and juicers at the ready! Self-compassion frees you to care for others more truly and deeply! This juice fast for Lent may be one of the best things I have ever done to prosper my soul in pursuit of a higher vision. I am expecting great, unspeakable blessings to transform my lifescape. (~~I will be alternating between the options described below every other day when not on store-bought juice regimen.) I have a double auger slow juicer and a centrifugal one, too. 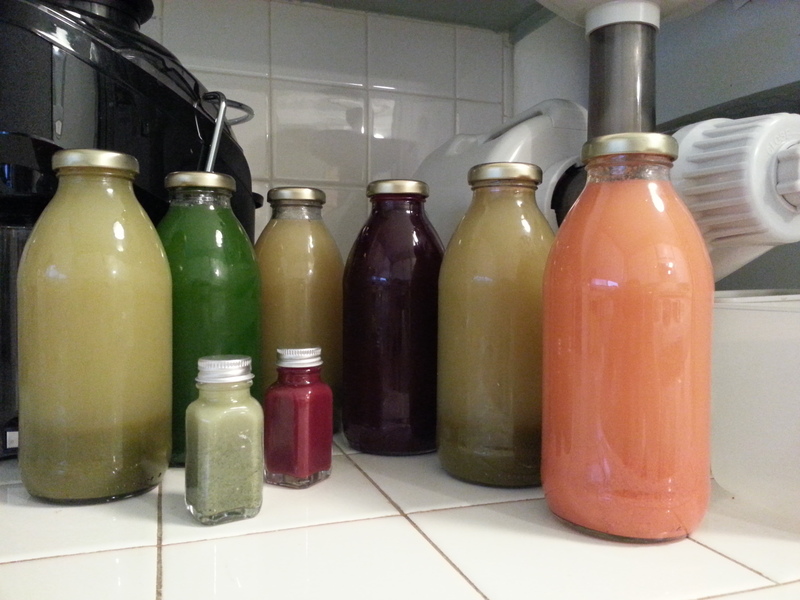 One for better quality juice; one for convenience–good for emergencies (cravings!) 🙂 …just staying real & honest!!! LOL! NO= refined sugars or sweeteners of any kind, starches, animal flesh YES!=liquid plant life of any kind…add basil, parsley, mint, cilantro anywhere! DO= =walk, breathe, exercise 2-3 times a week, infrared detoxing 2-3 times a week =write everyday along with devotionals chosen =care for my body—moisturize face & body…and get a massage =stay thankful, focused on God’s love and promises for me! ON THE ROAD: =take MaxPowders, gallon of water, shaker bottle, Bible verses, packets of my protein, sublinguals. Allow treat of something with chlorella, chloryphyll, fulvic acid, ginseng, wheatgrass, or aloe … as well as the knowledge that this is the best thing for me no matter what obstacles arise.